The USB-C power passthrough port can deliver up to 60W, which should cover all but the highest-end 15 inch Macbook Pros. 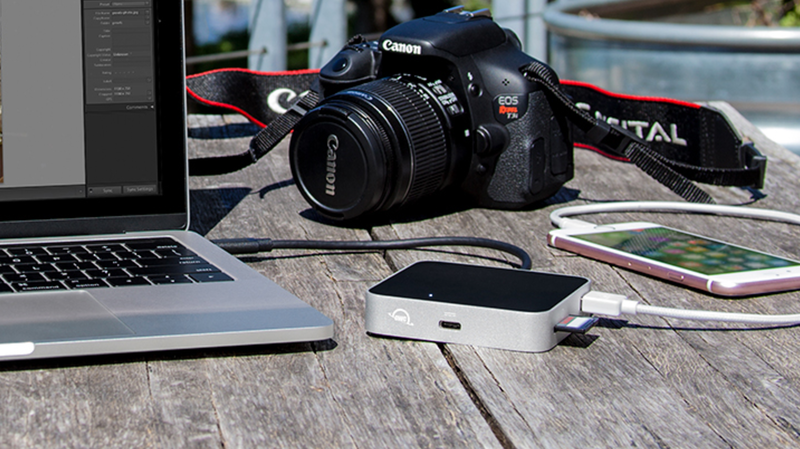 Additional devices can be charged through the USB 3 ports, and the SD Card supports UHS-II and is rated for up to 156 MB/s (SDHC) or 312 MB/s (SDXC) transfer speeds. While clearly designed with the Mac user in mind (as evidenced by the Rose Gold, Space Gray, Silver and Gold color options), PC users can take advantage of the all-in-one functionality as well. The USB-C Travel Dock is available now at Macsales and other retailers for $49.99.